Nielsen Roofing & Sheet Metal Ltd. is one of the only roofers certified in the Southern Okanagan Valley area to install metal tile roofing. We also provide custom sheet metal work for metal flashings, wall systems (metal cladding), fascia, and more. We know that each roof and its features are unique. With over six decades in the roofing business, you can trust a professional and high quality custom fabrication that fits your specific needs. Some of the many benefits of metal tile roofs include weather and wind resistance, designer colours, non-combustible fire ratings and no cracking or splitting. 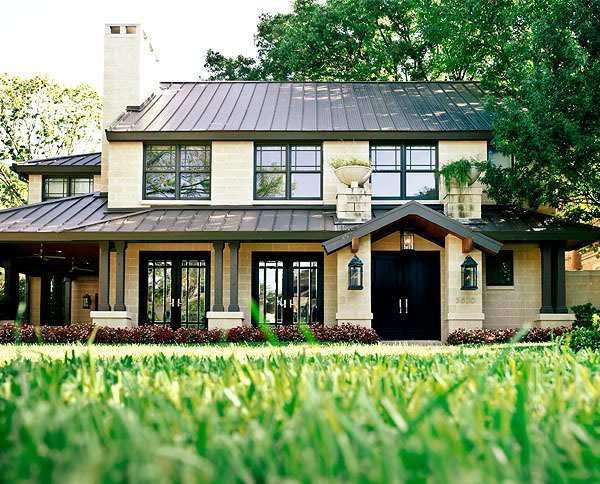 Metal shingles have the same rich appearance of heavy weight architectural shingles but are much lighter in weight, have increased edge thickness for aesthetic shading and they resist fading and UV penetration. From fluted rib to Mediterranean designs, you have a wide variety of choice with metal tile roofs, so you can match the design of your home. A perfect choice for strata complexes and apartment buildings, metal tile roofs will protect your structure for years to come. Contact Nielsen Roofing & Sheet Metal Ltd. to discuss your custom metal fabricating options.